Provides chip free cutting of ceramic, porcelain, glass and marble tiles. the diamond bonded rim produces a smooth cut. These blades are engineered for cutting on tile saws and hand held grinders. Can be used dry, but this reduces the life of the blade. Best used with water to keep the cutting edge cool and dust under control. Cuts faster than the continuous rim but not as smoothly. For use on tiles; ceramic, marble, granite, porcelain, concrete, bricks and masonry blocks. 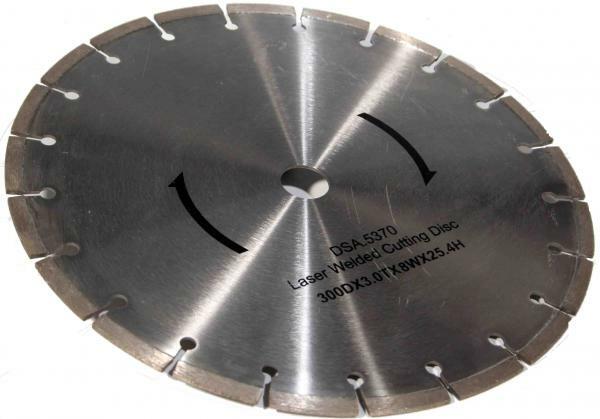 This blade is ideal when a range of different materials must be cut. Can be used dry, but this reduces the life of the blade. Best used with water to keep the cutting edge cool and dust under control. For use on the same applications as the turbo rim blade. 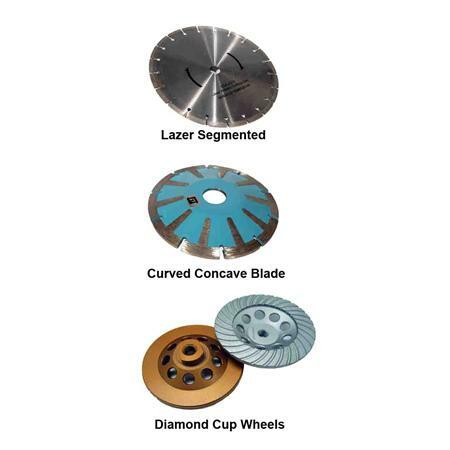 The advantage of the wave core is that the "waves" are designed to reduce noise levels, reduce heat, remove cutting debris and increase the flexural strength of the blade, if used for lateral grinding applications (instead of only directional cutting). 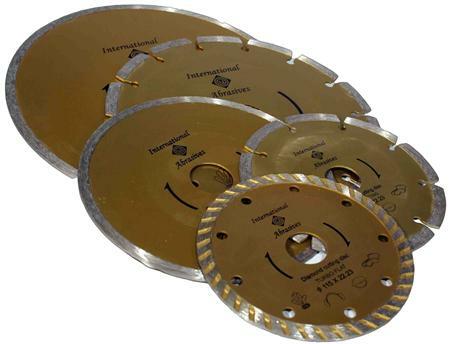 these blades are engineered for cutting on tile saws and hand held grinders. Can be used dry, but this reduces the life of the blade. Best used with water to keep the cutting edge cool and dust under control. For use on marble, granite, slate, quartzite, concrete, bricks and masonry blocks. Provides a fast cut, and may be used as a general purpose blade. These blades are engineered for cutting on tile saws and hand held grinders. Can be used dry, but this reduces the life of the blade. Best used with water to keep the cutting edge cool and dust under control. The diamond segments have been welded to the steel core by lazer micro fusion, producing a permanent bond which is unaffected by the heat generated during dry cutting. These blades are engineered for cutting on tile saws and hand held grinders. For use on marble, granite, slate, quartzite, concrete, bricks and masonry blocks.